Last Sunday our pastor, Rev. Mizuki, was ill and asked Rev. 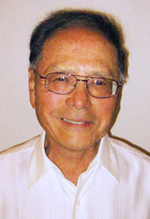 Leo Fong to fill in for him at our United Methodist Church in Chatsworth. In all the years I have been attending church, the sermon Rev. Leo preached was one of the most memorable. Before I tell you what he had to say, let me give you a little history. Leo’s family settled in a small town in Arkansas, where his father opened a grocery store. As the only Asian in his grade school classes, he was the subject of racial taunting. Some of Leo’s relatives did not challenge this kind of racist behavior, but Leo resisted it. When he applied to college, neither the principal of the school nor the football coach would give him a recommendation. Leo, in high school, had decided on the ministry and the church’s district superintendent interceded to give him a recommendation. In college, he took up Golden Gloves boxing and won numerous awards at it. After he completed his ministerial training, the Methodist bishop pulled Leo aside and told him there were no Chinese churches in Arkansas to assign him to. Later, though, he found a Chinese church in Sacramento, which Leo accepted. Looking back, Leo says it turned out well for him. While he pastored there, he developed skills in martial arts and earned three black belts in them. Also while there, he developed a relationship with Bruce Lee and regularly worked out with him before Lee’s untimely death. After Lee’s passing, Leo took a leave from the ministry and went to the Philippines, where he produced martial arts films. Leo has been retired for the past 20 or so years and lives in Canoga Park with his wife Minnie. He teaches exercise classes for seniors, which Marion and I attend twice a week. But, back to the sermon: Leo, because of the bitter memories of his past experiences in high school, never attended any of his high school reunions although he has been invited. However, last year, he accepted the invitation when he was asked to speak at the event. Last year Leo turned 84. He graduated in 1947. Leo told us that over the years his experiences during his school years, particularly in high school, have weighed heavily on him. He says he would tell of his experiences to those he stayed in touch with after high school over and over again. What gripped me about Leo’s sermon was the emotion I could hear in his voice when he told of how much it meant for him to, at last, return to the scene of his bitter experiences and tell his story to those he knew from his past. He did not use the word, but here was a man who after 65 years gained redemption. Regarding the principal and teacher who refused to write recommendations for Leo. I would guess, judging from what Leo says about opposing racism he encountered, he was not seen in the most favorable light. In fact, he was probably seen as a troublemaker. He was not your stereotypical conforming Asian. I think of the JA troublemakers in our community who have gone on, Gordon Hirabayashi, Fred Korematsu, Mitsuye Endo, and more recently, Tak Yamamoto. Doing what a person knows is right can be costly, but what important lessons it teaches all of us. In a future column I would like to address the story of the Tule Lake troublemakers. Stay tuned. 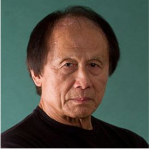 Phil Shigekuni writes from San Fernando Valley and can be contacted at [email protected] The opinions expressed are not necessarily those of The Rafu Shimpo.